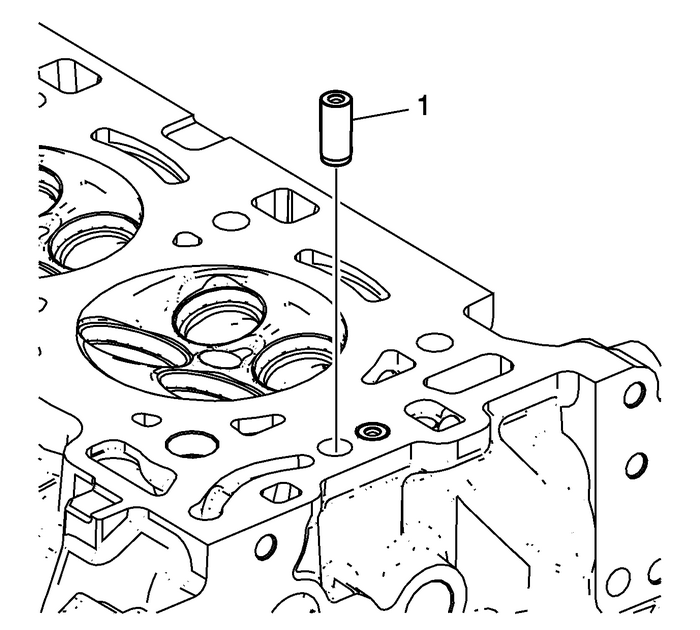 Use lubricant included with EN 46122 remover/installer to lubricate outside of new check valve-(1).With the check ball end of the check valve facing UP, away from the head, insert theNEW check valve into the check valve bore in the cylinder head. 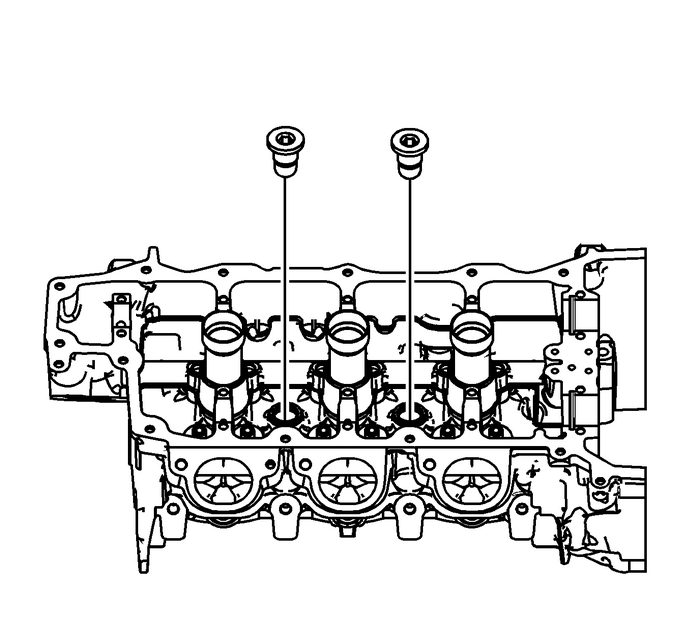 Place collar EN 46122-2-(1) over the new check valve with the slightly-larger insidediameter of the collar DOWN toward the cylinder head.Using the driver EN 46122-1-(2), lightly tap the new check valve into place untilthe driver stops against the top of the collar. 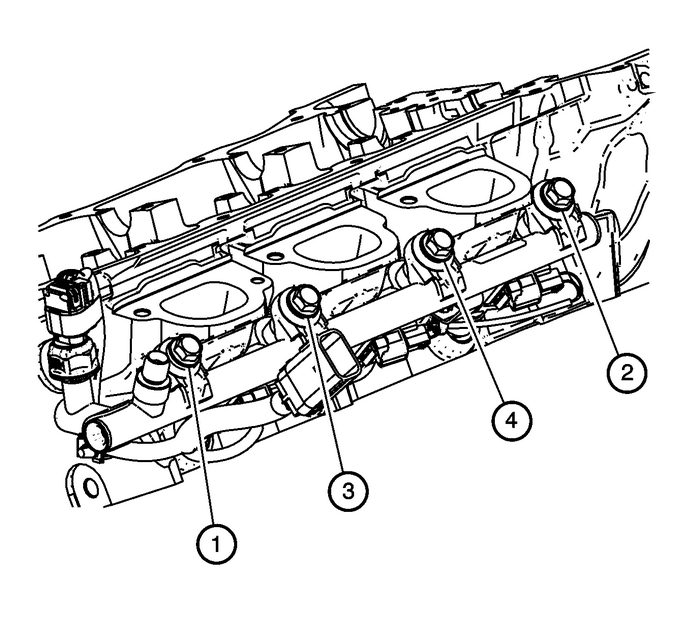 Inspect the camshaft position actuator oil feed check valves in order to ensure theyare properly installed in the cylinder head. 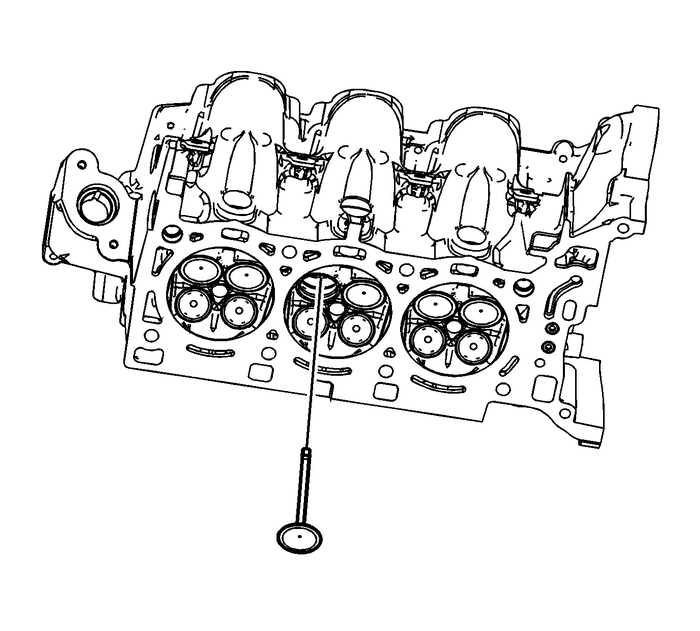 The camshaft position actuator oil feedcheck valve should be flush to 2-mm (0.0787-in) below the cylinder head deck surface-(a). 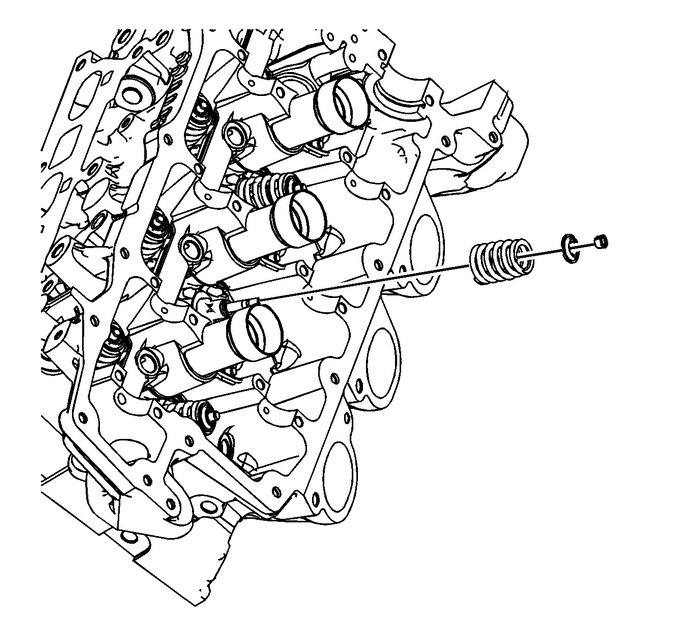 Install the cylinder head coolant threaded plugs and tighten to 75-Y (55-lb-ft). Install the NEW cylinder head oil gallery expansion plugs. Place the valve stem oil seals onto the guides. Note:NEVER reuse a valve stem oil seal. Always use new seals when assembling the cylinderhead. Mount a new valve stem oil seal using the EN 46116 remover/installer. Note:Force should only be applied to the valve spring contact area of the new valve stemoil seal during installation. Push and twist the valve stem oil seal into position on the valve guide until theseal positively locks on the guide using the EN 46116 remover/installer.Lubricate the valve stem and valve guide ID with clean engine oil. Refer toAdhesives, Fluids, Lubricants, and Sealersfor recommended lubricant. 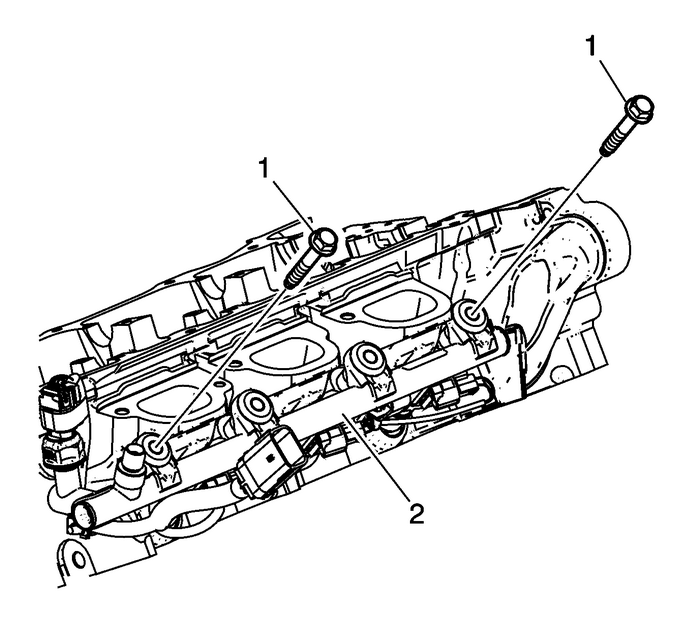 Note:The valve stem oil seal must not come loose from the valve guide when the valve isinstalled. Insert the valve into the valve guide until it bottoms on the valve seat. 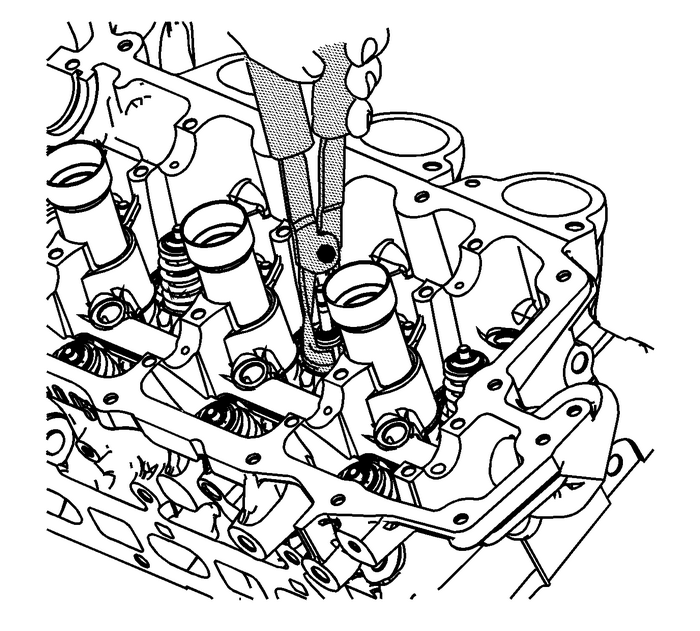 Position the valve spring on the spring seat.Place the valve spring retainer onto the valve spring. Compress the valve spring using the EN 8062 compressor and the EN 46119 adapter. 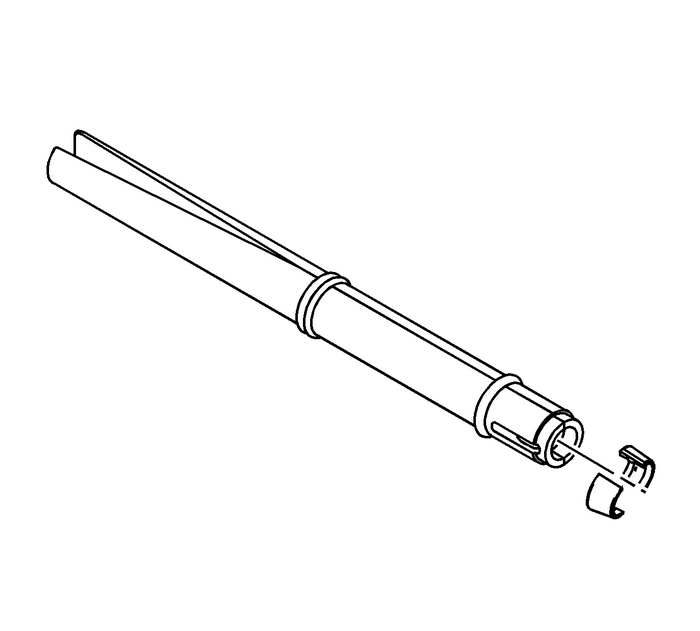 Note:Ensure proper directional placement of valve keepers in the EN 46117 remover/installer. 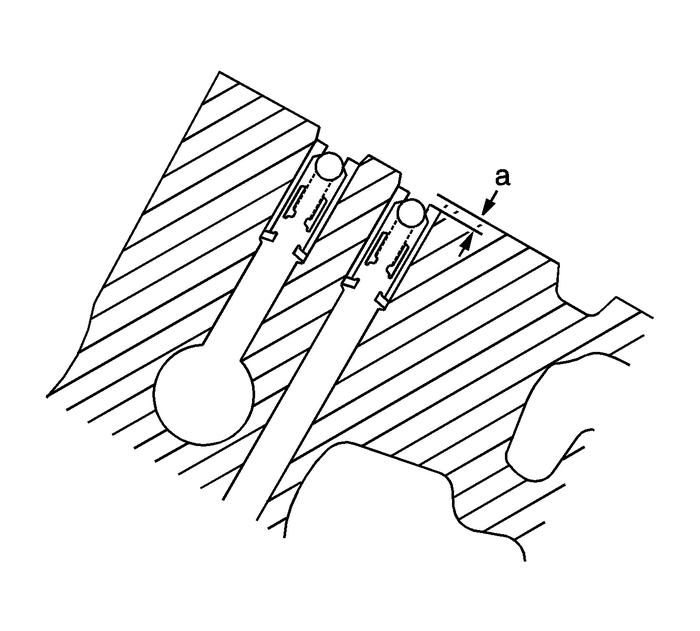 The valve keepers must be installed with the tapered end towards the valve stemseal. With the spring compressed, install the valve keepers into the EN 46117 remover/installer. Place the keepers into position by pushing the tool downward. While holding the toollightly together in the area between the O-rings, using the thumb and forefinger,release tension on the EN-46119 adapter and the EN 8062 compressor. 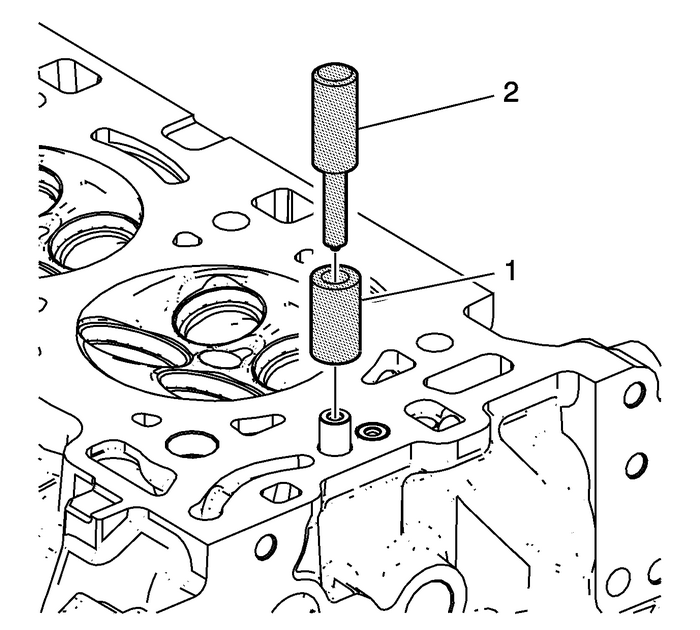 This will slowly push theEN-46117 remover/installer off the valve stem, leaving the keepers in place.Verify that the valve keepers are installed by placing a rag over the valve tip andtapping with a dead-blow hammer. 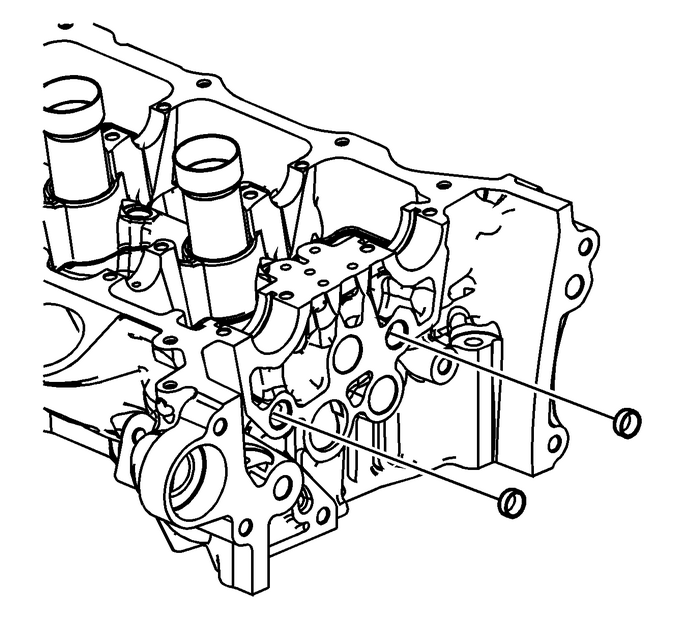 Note:If the fuel rail was removed from the cylinder head, the fuel injector tip seals mustbe replaced. Refer toFuel Rail and Injectors Cleaning and Inspection. 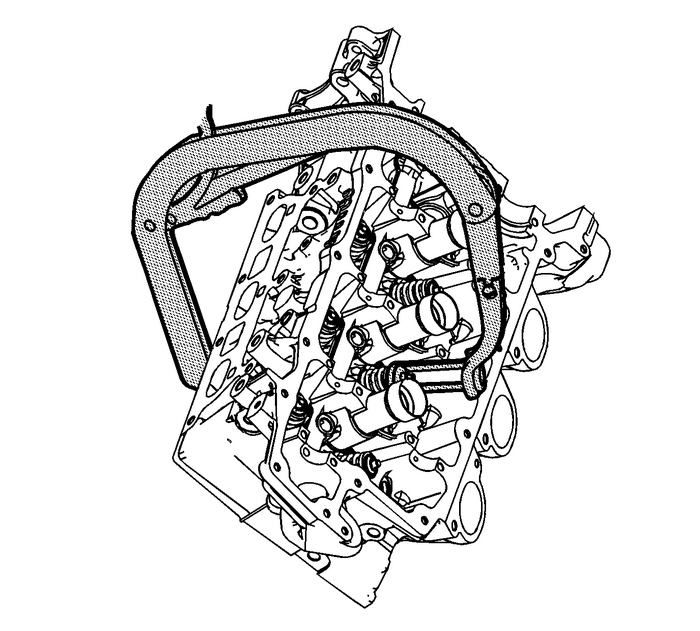 Install the fuel rail with injectors-(2) into the cylinder head evenly.Install and hand tighten the two outer fuel rail bolts-(1) to seat the injectors inthe injector bores.Install and hand tighten the two inner fuel rail bolts. 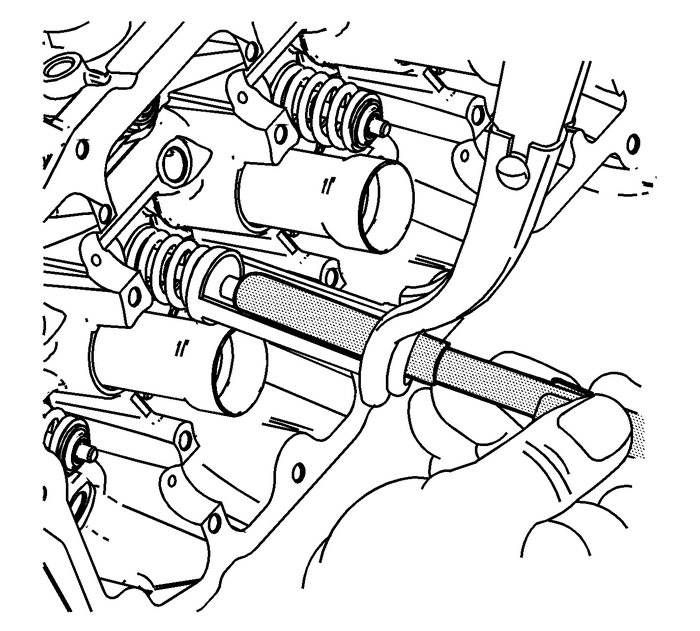 Tighten the fuel rail bolts in the sequence shown to 25-Y (18-lb-ft).